Because Dan Aykroyd can&apos;t keep his old franchises down, the actor is part of a team hoping to bring The Blues Brothers back to the pop culture forefront with a new television series. 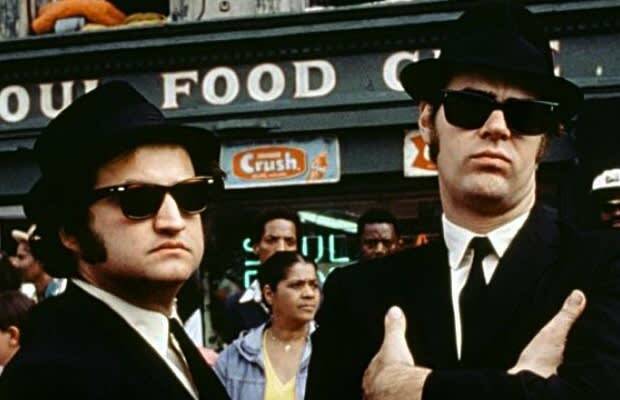 Aykroyd and his deceased former Blues Brother John Belushi&apos;s ex-wife are working on a potential new series based on Jake and Elwood that is currently being shopped to networks. The series would follow Elwood (previously played by Aykroyd) as he searches for his real dad; Aykroyd won&apos;t star, but will provide the voice of Jake and Elwood&apos;s parole officer. Excited? How about this: co-writer Annie Beatts says that the show will have musical numbers and combine aspects of Route 66 and Glee. And you thought Ghostbusters 3 sounded bad.